I saw this and HAD to share it with you, how could I not? It's everything I love in ONE BOX! 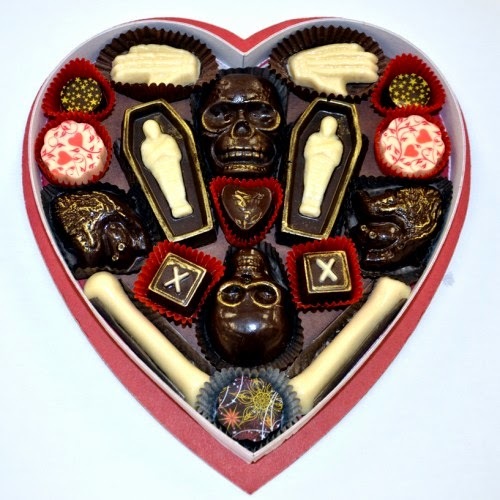 The website www.vegantreats.com has created this creepy cute and not to mention delicious chocolate box just for the one you love! It is sadly out of stock and will not be back in stock as they shipped out on the 9th but regardless it's adorable so I am sharing. It costs $87 and you get 19 premium hand made chocolates which sound absolutely amazing and I am actually kind of upset I missed out on this! Perhaps next year?